LANCASTER – A minimum security inmate who walked away from a fire camp in Acton Thursday night was captured Friday in Lancaster. Edgar Gonzalez, 29, was taken into custody without incident at 11:40 a.m. Friday, Nov. 3, at the Sunset Ridge Apartments, in the area of West Avenue K8 and 15th Street West, according to the California Department Corrections and Rehabilitation. 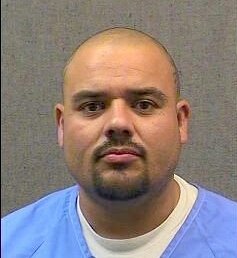 Agents acting on investigative leads collared Gonzalez with assistance from the CDCR’s Los Angeles Fugitive Apprehension Team, and took him to California State Prison-Los Angeles County in Lancaster. Staff at the Acton Conservation Camp, in the 8800 Soledad Canyon Road, discovered Gonzalez was missing from his bunk while conducting an inmate count about 9 p.m. Thursday, Nov. 2, according to the CDCR. A search of the camp grounds and surrounding area was conducted by personnel from the CDCR, Cal Fire, the California Highway Patrol and local law enforcement agencies, but Gonzalez was not immediately found. Gonzalez was committed to the CDCR in April from Los Angeles County to serve a two-year, eight-month sentence for possession of a controlled substance and possession of a firearm. He was assigned to the conservation camp in August and had been due to be released in August of next year. “His case will now be forwarded to the Los Angeles County District Attorney’s Office for prosecution, and he will not be eligible to be housed in a fire camp,” according to a CDCR statement. Authorities are still searching for 36-year-old Jason Kohr, who fled a minimum security facility in Lancaster on Saturday, Oct. 28. 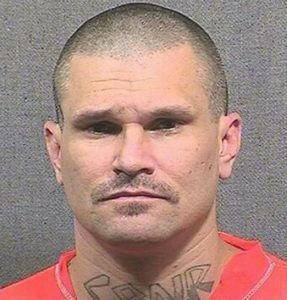 The state Department of Corrections and Rehabilitation asks anyone who sees Kohr to immediately call a law enforcement office, 911, or the watch commander at the Mininum-Support Facility at California State Prison-Los Angeles County at 661-792-2000, extension 5551 or 6912. 3 comments for "Inmate walks away from Acton camp, captured in Lancaster"
Jason Kohr < smart.. still on the run because he knew not to go home where they would find him…Edgar Gonzalez < not so smart… went straight to girlfriend and was caught hanging with his homies at his usual location. On top of that, he won’t be a minimum security firefighter. Instead, he will be stuck in the hole. He did manage to get high one more time with his homies.